James, 29, approached Kia after a firsthand experience with the K900 sedan, the automaker said. 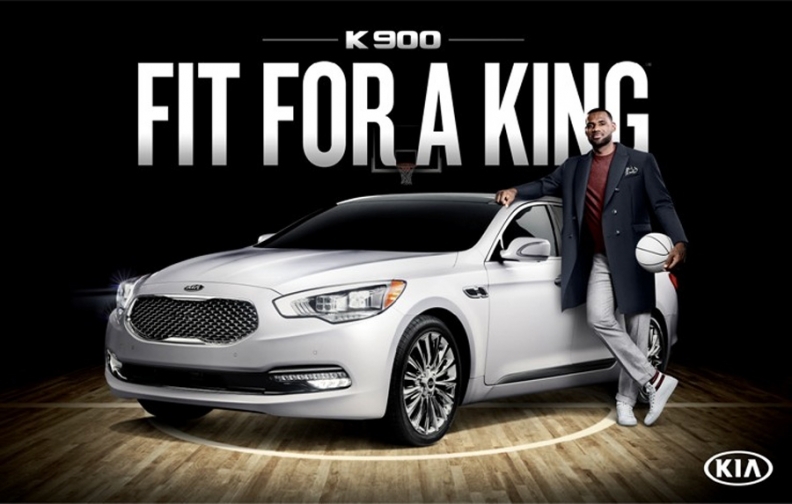 Editor's note: The date when Kia Motors America's marketing deal with LeBron James was announced was incorrect in an earlier version of this story. NBA superstar LeBron James, following his high-visibility return to the Cleveland Cavaliers this season, has signed on with Kia Motors America as its first luxury ambassador, the Korean automaker said. As part of the multiyear partnership, James will make exclusive appearances, and Kia will feature him in TV advertisements for the Kia K900. James’ first on-air spot will be part of the “Fit For A King” campaign, which will premiere later this month as the NBA season gets underway, the company said in a statement Wednesday. “As fans of the game of basketball, we were honored to learn that one of today’s most influential athletes and tastemakers recognized something different was going on at Kia and wanted to check out our new flagship sedan,” Tim Chaney, vice president of Kia Motors America marketing communications, said in the statement. James, 29, approached Kia after a firsthand experience with the sedan, and then he took on the role of luxury brand ambassador, the statement said. In August, before James officially represented Kia, he shared photos of his car and posted, “Rolling around in my K900. Love this car!” online, the statement said. Kia’s other ambassadors include NBA all-star Blake Griffin, tennis pro Rafael Nadal and U.S. Women’s Open golf champion Michelle Wie.